Tag Archives for " Trio Profit Machine Review "
Is Trio Profit Machine a Scam? Yes It Is And I Will Tell You Why! We have been asked this question – “Is Trio Profit Machine a scam?” – several times, especially by newbies in affiliate marketing. Here’s my short answer: Yes, it is a scam. Of course, there’s more to it so let’s look at the program more closely. What Is Trio Profit Machine And How Does It Work? The Trio Profit Machine is a product created by Jani G who has a string of online products to his name, many of which are of questionable use. His introduction should already ring warning bells because of his promises of high daily income. His promise is that the Trip Profit Machine can generate three income streams on complete autopilot. This means the ultimate in passive income because your daily earnings will flow without manual effort on your part. You will earn between $122 to $708 per day, a promise that may or may not come to fruition for many reasons. By now, your brain’s running on overdrive regarding the possible daily income. But don’t be because there’s no truth to his claims for many reasons. You have to sign up customers to free offers by using either free or paid traffic. You must then offer them other products with the promise of their brighter future while they’re waiting for order confirmation. You should also offer them upsells (i.e., better versions of the product) and, thus, you can make more money. After these three stages, you will now be on the Trio Profit Machine’s mailing list. You may or may not appreciate being the recipient of new offers made on daily. Even a relative newcomer to affiliate marketing will see the folly in the program. This is because programs that offer other products and/or upsells are usually up to no good. Why would you offer similar products or better versions of your product when yours is already the best? Of course, there are exceptions to this principle but most of the scams offer tons of upsells. Despite a few similar products under his belt, Jani G still hasn’t polished his style, both in terms of video production and text creation. He has such a poor grasp of the power of the English language while his videos have an amateurish feel. He doesn’t appear to put more time, energy and effort into the Trio Profit Machine than in his previous products. But let’s assume that you don’t know these things yet. 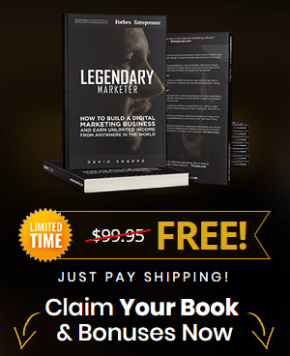 You buy the product, which turns out to be a 52-page e-book detailing the three income streams. You find out, too, that Jani calls these income streams as Impulse Buyer Income, Backend Income, and List Follow Up Income. You will then realize where the abovementioned profit machines fit into Jani’s scheme. Your veteran affiliate marketing friends will also say that these concepts aren’t as new as Jani says they are, far from it. The only new thing about them is their labels. For example, backend offers are nothing but upsells while email follow-up income is just email marketing income. Plus, these income streams are already available, not to mention better presented and explained, in better online marketing programs. Aside from giving new labels to old concepts, Jani is also inconsistent in his use of labels, another red flag. For example, he calls backend income as download page income in different sections without giving an explanation regarding the change. Let’s just say that he didn’t “discover three income streams” because he only renamed them so that newbies can be taken in by fancy names. Yet another sign of non-originality in the Trio Profit Machine is the use of an old internet marketing model. Jani introduces an opt-in page, a download page, and an OTO page in his program – and there’s nothing new there either. You will find these pages in almost all online marketing programs, too. The Trio Profit Machine also encourages its subscribers to adopt several ineffective strategies. For example, affiliate offers are disguised as bonuses, a tactic that will likely turn off your prospects. Your mailing list will grow shorter and shorter because your subscribers will eventually realize your greed at their expense. And then there’s Jani’s blatant promotion of his coaching program on auto-responders. Instead of demonstrating to his clients the effective ways of using auto-responders, he encourages them to buy into his coaching program – and, of course, it’s for a fee. Who Is Trio Profit Machine For? The program is designed for both newbies and veterans. But since veterans already have knowledge about Jani’s methods, newbies are most likely to be the next victims, er, buyers. The program has a members’ area, links to training videos, and a PDF download. The members’ area appears to be the only support for buyers. Jani also makes unrealistic promises. For the daily income to be achieved, you have to possess many things, such as a huge email list, an effective targeted traffic program, and trending products. You will not stand a chance at the $700 daily income when one of these things are missing. But Jani doesn’t say these things, much less discuss them in depth. With that said, I have to say that, without a doubt, the Trio Profit Machine is a scam! If you buy into it, you’re paying for information that can be secured for free online. You’re also getting a poorly produced program that will never attract money into your account. Instead of the Trio Profit Machine, we recommend becoming a member of Wealthy Affiliate, a well-known reliable affiliate marketing company. You have the opportunity to create your own website, choose from a wide range of products to promote and earn money from commissions. You also have the benefit of hosting and domain services for, truly, Wealthy Affiliate is the one-stop shop for affiliate marketers. => Log on to WealthyAffiliate.com now and see for yourself! Do you have experience about Trio Profit Machine? Have you already tried Wealthy Affiliate? Leave a comment below and I’ll be sure to follow up with you!